In an effort to provide both our new and current members with more resources for preparing speeches, there is an initiative to post speeches from the club members. To kick-start this, I have decided to post some of my old speeches. Today I am starting with the icebreaker I had almost a year ago. For those who would like to read more on what the icebreaker is about, the CC manual entry is publicly available on Toastmasters.org webpage. Throughout the speech there are comments, which are highlighted in special boxes. I really love this quote, because it says so much about us. We can understand it in many ways. In this speech I am supposed to briefly introduce myself. I would like to bring up few of my favorite cards, so to say. I will speak about three occasions where some cards played or still play a rather important role in my life. And don´t worry, it won´t really be that serious. I had decided to open up with a quote. That in itself was a good idea, but I read the quote instead of remembering it. If you want to open or close the speech with a quote, learn it by heart. Everyone among us here holds some cards in his or her hand. Everyone has few cards he or she really likes and loves to play, so to speak. For example here, among us, Bogdan likes to play musical instruments and make friends that way. Tereza ……… Tomas ………. I would like to tell you about few of my cards. Here I prepared references to other speakers from either the same meeting or the last one. The dots were meant to differ based on the speakers before me. It worked great and gave me a chance to throw in few quite nice jokes. One of my most favorite cards is, well, playing cards. I just love playing card games. There are many I sometimes play, such as the well-known poker, but the one I really love is called “mariáš”. It is a specific czech game, one could even say it is national czech card game. If someone here feels like playing, just ask. I am always ready of a game. Then I have this particular card. [Take out ISIC] It used to be one of my favorite cards until recently. It is a symbol for my studies, an important part of my life that is mostly behind me now. Evenings spent by legal discussions and legal drinking with students from Faculty of Law, evenings spent by playing cards with people from Faculty of Informatics, actually also going to the school from time to time. Well, I liked that. For the last part I had few props prepared. First were simple playing cards, second was ISIC (student's card) and last was the credit card. Quite recently I swapped this card for this card. Simply put, I started working full-time. Thing is, I really enjoy it so far, but, well, I still realize the point of the job is so that this card [take out credit card] keeps working. To sum it up, the one thing I would love to tell you is that wherever you are – at work, at school or playing cards at a card table, remember, it is not about the cards you were dealt, it is about how you play them. And most importantly, enjoy the cards and have fun. Thank you. The speech ended here. Back then we didn't have the QA, so I just left the stage and eagerly awaited my evaluation. Altogether, I was pretty happy about the speech and the audience seemed to enjoy it, too. However, today I see so much I could have improved. Most of it, however, was related to delivery. Body language, eye contact, vocal variety, speed. What would I recommend to the other brave people preparing for their icebreaker? Do not make it complicated – it is supposed to be a short speech about yourself. Read the manual before. It has many useful tips and gives you nice idea what to focus on. Find a topic that suits you and is close to you. It helps you ennjoy the speech. Prepare and rehearse a lot. More the preparation, better the speech! Enjoy your icebreaker & have fun! Do I have to prepare something if I want to visit a Toastmasters meeting? Will you want me to speak in front of an audience? Just a little bit. There are two moments in the course of the meeting when we encourage the guests to speak. The first is the introduction, when both members and guests introduce themselves. All you are supposed to do is stand up and tell us your name and occupation. No need to go to the stage! The second time is at the end of the meeting, when we ask the guess for short feedback. You can tell us what you liked and especially what you would improve. Moreover, almost every meeting has a part called Table topics. Those are short unprepared speeches, where you can participate even as a first time guest, if you want. Take a look at some of the topics here. Is there something else I should do there? No, just observe and enjoy. What about the English? How good should my English be? As we often say, Toastmasters are all about learning, and that includes improving English. We have few to none native speakers, so nobody of us speaks perfectly and the overall level of English varies rather widely. We even have a role called Grammarian that is dedicated to improving our English, as we often struggle with grammar. That said, in order to enjoy the meeting, you must be able to understand the language and to speak at least a little bit. Do I have to pay to attend the meeting? No. Attending the meeting is without any charge. Should I wear formal clothes? No. Even though we are Brno Business Toastmasters, we have no special dress-code for the meetings. It is most important that you feel comfortable and can enjoy the meeting. Is every meeting the same? Does it matter to which meeting I come? The meetings follow similar structure. For every meeting we have a detailed agenda with description of the roles and time constraints. You can take a look at such an agenda. Last Tuesday, the theme of the meeting was Time. Our Table topic master, Pavlina, prepared a set of amazing topics that reflected this theme. There were moments in time that had massive impact on the world today. However, what if they had played out differently? The roles for table topic speakers are described with each of the topics. Enjoy and tell us what you think! October 28, 2003: Harward student Mark Zuckerberg invented and opened Facematch, the Facebook’s predecessor. Many students complained that their photos were being used without permission. Zuckerberg apologized publicly, and the student paper ran articles stating that his site was “completely improper.” Mark is disapointed and thinking about career of gardener. Convince him to not give up social networks! 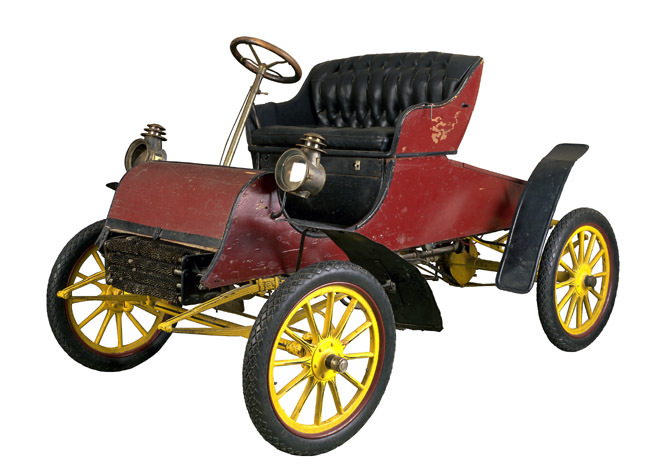 20th July 1903: The Ford Motor Company shipped its first car. You are car salesman. Sell this red Ford to a lady in red. 1st July 1979, Sony Corp. introduced the Sony Walkman. The prototype was built by audiodivision engineer Nobutoshi Kihara. His grandmother doesn’t consider it as success because she wanted him to be teacher. Explain to grandmother importance of his invention and career choice. 2nd December 2001: Energy-trading company Enron filled for bankrupcy, one of the largest corporate scandals in U.S. history. Over the next several years, the name “Enron” became synonymous with large-scale corporate corruption and accounting fraud. The company employed 21,000 people and you need to say them that are laid off. 30th January 1986, Steve Jobs bought The Graphics Group (later renamed Pixar) from Lucasfilm’s computer graphics division. Over the next 15 years the company produced box-office hits (Finding Nemo, The Incredibles, Ratatouille, WALL-E, Toy Story…) In early 2004, Jobs announced that Pixar would seek a new partner to distribute its films after its contract with Disney expired. You have your own small studio – become their new partner. 4th April 1973: Martin Cooper (Motorola) invented first pubcicized Handheld Mobile Phone. Welcome to recap of my speech #10. The following text comes from the document I used as a preparation for the speech and thus it is more-or-less exact transcript of the speech itself. The transcription is written in normal text, while my comments are in italic. As I used slides to support my speech, you can see the slides at the places where I showed them to the audience over the course of the speech. This shows the actual content of the speech, but as time permits, I intend to also post how the speech worked, my own impressions and the feedback from the evaluator, so that the reader can see a more complex picture. Enjoy! To improve public speaking. To be a competent communicator, or, in other words, to be gregarious. To obtain leadership skills. And also very importantly, to learn. As a programmer I have to learn new stuff every day. Every minute, every day I seek ways to solve the programming problems I face. I believe that the same applies to every one of us here. I admit I enjoy that. However, through the years of my studies at both grammar school and university I discovered an interesting paradox. The more we learn new things, the more we enjoy learning. Therefore, in order to stay on a roll, we should keep actively seeking out more knowledge even if that is not strictly necessary. If we study more, we will enjoy our jobs more and will be happier overall. Question is what to learn? Is there any particular area of knowledge that is really suitable for our needs? The answer to this is a resounding “YES, THERE IS”. For me, in particular, it is learning new languages. Studying another language can be done at your own tempo. You may devote few minutes a day to it or few hours or no time at all. It can be entirely up to you. There are readily available resources with very high quality. That means it is quite possible to learn a new language completely for free. Last but not least, learning a new language is respectable. In my experience, your friends and family have far more understanding for learning language than for some other hobbies. We are decided then. We are going to learn a new language. The crucial choice is: which one? Imagine me, two years ago, making the exactly same decision. I was thinking: allright, I have basic knowledge of German and a bit less knowledge of Spanish from my grammar school. I should pick one these two languages. However, my IT specialization is computer security. Under that you can imagine encryption and hacking. Should start learning Russian? As intriguing as the idea was, I dropped it in the favor of better options. In the end my choice was a practical one. I have a German name. Hertl. In German that means strong, brave, tough. Moreover, when you attend an international conference you usually wear name badges. Since my name is obviously German, people tend to talk to me in German when they meet me. Imagine my embarrassment when my only reply was: “sorry, I don’t speak german”. More seriously, I believe German is the language Czech people encounter most often and, therefore it is the economically most sensible one. The choice is made. The dice is cast. Let us learn the new language. But how do we do it? Tonight’s meeting is themed around mistakes. Rest assured that in the last two years, in the course of my German studies, I made many of them. When I began, I took an old textbook called “Nemecky s usmevem”. Point is, this textbook was a good source of learning German about two decades ago. Yet I spent vast amount of time with that book. I even took the book’s vocabulary and decided to learn it by heart. I even wrote my own application to help me with that. Do you remember recent speech by Martin Plsek on the topic of flashcards? I do now. If I had used such a software then, it would have saved me quite a few hours of my life. Altogether, the time spent with this book was pretty much wasted. Mistake? In a way, yes, but it still pushed me in the right direction. Another resource I discovered is the webpage Memrise. Essentially, Memrise is composed of flashcards made for you by other users. It is community-driven website, which doesn’t sound like much, but believe me, it is amazingly powerful. It provides you with hundreds of free courses for almost any language of your choice. For about half I year I kept doing memory lessons there. Soon I started to feel the progress. Imagine my joy. Now I was moving somewhere. Knowing how to lead a discussion when multiple opinions are expressed and making sure that the speakers are indeed addressing the problem raised or the topic opened is not an easy job. There are people that tend to make it a monologue rather than leave others to speak too or simply be outside of the topic just because they want to talk about different things. This manual will help you improve exactly these skills of being a good leader in group discussions and making sure that your goal (finding a solution to a problem, debating a public interest subject) is reached. It is designed for practicing your moderator skills with different level of challenges: projects are long from 26 to 40 minutes and involve participants testing you by interruptions, taking over, refusing to participate in. The problem-solving discussion – 26-31 minutes – Lead the group to discuss the three ideas from the previous project and vote on the best one. Handling challenging situations – 22-32 minutes – This one is fun. Like the previous projects, you’re leading the club members to make a decision. But four club members (chosen by someone else, so the speaker doesn’t know who they are), are assigned to be troublemakers: interrupting, taking over, or refusing to participate. The success of this project depends on how well these members play their roles and how well you can moderate a discussion. Reaching a consensus – 31-37 minutes – Lead the group to discuss a problem and solutions and reach a consensus on what to do. We already have members that challenged themselves with this manual and we need to admit that the actual delivery of the projects was interesting and out of the ordinary! Hope to see more and more members taking this challenge! Grammarian edition? Don’t be afraid, this meeting report will not be all about grammar. However, as I was the grammarian there, I would like you to have a taste of the interesting job the grammarian does throughout the evening. This was both refreshingly different from the usual questions and directly related to the club business. More importantly, it actually gave us a lot of important ideas for the outside meeting. Some people said they absolutely loved the idea of meeting in a park and wanted to go for it. However, few of us suggested caution, mostly because of we are Brno Business Toastmasters and meeting outside does not feel strictly professional, but agreed to try to meet in a park at least once. While we haven’t made any final decision yet, the debate certainly gave us a big incentive to go ahead and plan such a meeting. Then Alexy took over and led the meeting. Personally, I must say the meeting was incredible even from the grammar point of view, which is what I am going to focus on. The following lines will be written from the perspective of a grammarian. What are the duties of the grammarian role? First, you should listen carefully, notice all grammar mistakes and make a report before the end of the meeting. In Brno Business Toastmasters we have merged grammarian with another role – the ah counter, meaning the grammarian also takes note of the fillers we keep using during the course of the meeting. Last but not least the grammarian counts how many times various people use the word of the day. This meeting I decided to try a different approach, as our past VPE Mary suggested. Instead of just correcting the mistakes, I would try to make the role funny and try to take the meeting atmosphere up instead of down. For most roles this comes naturally, but for the grammarian… not so much. The role is, by definition, negative. Also, similar to the quizmaster, you can’t just make things up, you have to work with the resources the other members give you (in this case mistakes). I needed special mistakes that would be both clear and fun to correct. So I listened. Throughout the meeting it was rather hard to focus on the mistakes, because the speeches were very nice to listen to. The icebreaker, obviously well prepared, caught my attention and I caught no mistakes. But then, at the QA, there came a question from the audience: “How did you feel?” Martha replied: “When I came here, my heart was …” and she searched for the correct word and somebody suggested: “beating”. When I heard this, I almost jumped with joy. “When I came here, my heart was beating.” This I could work with. Basically, when you are nervous, your heart is pounding or racing. If your heart stops pounding, it is still beating (pounding just means it is beating more quickly and thus more loudly). If it ever stops beating, though, grammar usually is the least of your concerns. The second speech was also amazing to listen to and I was totally convinced that there is no need for a TV at anybody’s home. Also we heard that “A dog got missed in a forest”, which would actually mean somebody took a shoot at a dog and missed. While that may definitely be true, the speaker probably wanted to say “a dog got lost in a forest”. While we are talking about shooting, I must highlight the expression mentioned by our toastmaster of the evening, Alexy: “A ballot is stronger than a bullet”. Table topics, while highly business-themed, were fun, too. Bogdan prepared two groups of papers – one listed company (TM International) departments and the other the speaker is applying for. The speaker’s goal was to persuade the audience (= TM board of directors) that he or she is the right candidate for the job. It was so much fun that I forgot to listen for mistakes. Therefore, I believe that the best way to make the grammarian role more interesting while keeping it meaningful is to go with the funny mistakes. It is not easy, it is not simple, but at least in my opinion it does boost the meeting. Let us try that! Customers, suppliers, employees, investors, journalists and regulators can have a powerful impact. They all have an opinion about the organisations they come into contact with – whether good or bad, right or wrong. These perceptions will drive their decisions about whether they want to work with, shop with and support these organisations. In today’s competitive market, reputation can be a company’s biggest asset – the thing that makes you stand out from the crowd and gives you a competitive edge. Effective PR can help manage reputation by communicating and building good relationships with all organisation stakeholders. So if you have anything to do with PR in your professional life, the advanced manual ‘Public Relations’ can be a great practice for the upcoming challenges. Let’s have a look at the 5 projects of this manual and their objectives! Good luck with these great projects if you feel this is the manual you should chose! Coincidence? Faith? I still cannot figure out but the meeting theme ‘Unforgettable moments’ was tailor-made especially for our Immediate Past President Jerome. We have to mention that we had the pleasure to see him as Toastmaster for the very last day of being president, on the very last day of the Toastmasters year 2014-2015. Allow me to be subjective and say that the meeting was emotional and filled with a positive, ready-for-summer flavor. With Mary being Chairperson, asking us what’s one of the unforgettable moments of our lives and continuing with Jerome and his calm and pleasant meeting facilitation, it was absolutely a blast! Word of the day presented by Tomas was in fact an expression: ‘on the roll’. You cannot imagine how inspired Tomas is unless I tell you that to make us remember the expression, he brought a ‘toilet paper roll’. He made it memorable! Just like the Timekeeper Libor who always surprises us! This time in his 4 minutes speeches he told us 3 jokes, he explained clearly the rules, he gave specific suggestions to speakers and… wait for it… He told us also a short story! That’s what I call great communication skills! We had two speakers: Stan with Project 5 – Your body speaks and Josef with Project 9 – Persuade with power. Stan found his speech last meeting during the table topics when he picked 2 words: alone and penguins. He decided to have a real speech called ‘Alone with penguins‘ to present us interesting facts about penguins: how they walk (with examples), how dedicated parents they are and that their team work is beyond limits. Josef told us a story from Czech history with the title ‘Brave and still defending‘. He was so convincing in proving that Czech people are brave and they did supreme sacrifices such as giving up their lives to protect their friends and furthermore to protect the nation. What do you think it happened for table topics? As Zuzana wanted to challenge Jerome, he was also Table Topics Master! We definitely need to put on the list with ‘Great ideas for table topics’ his challenge: he gave us a book title and asked each speaker to tell how that booked inspired him/her and why. Surprise or not, we had a guest who won the Table Topics competition so be sure the topics were fun and exciting! Wondering who were all the winners? Best Speaker – Stan, Best Evaluator – Bogdan and Best Table Topics Speaker – Constantine. The meeting ended with another emotional moment where our Immediate-Past to be Club President handed over the new presidency symbol called ‘Brno Business Toastmasters on a roll‘ to the new president. I have to admit that I still feel the emotions of that! Although it’s holidays time, remember: Brno Business Toastmasters will be on the roll for the entire summer to make your Tuesdays more exciting and fun!